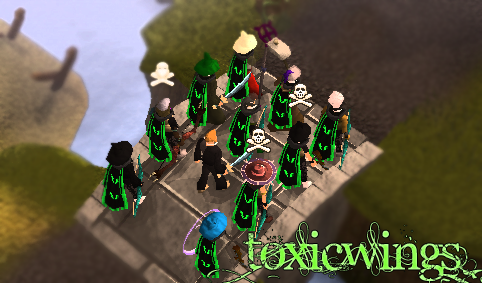 This clan is a good clan to have fun with and do some Pk-Trips. its a pretty active clan with increasing members. clan was made by Tox and Vaj. *Add them both to your friendslist. The clancloak looks pretty awsome, matches good with ghostly robes and Guthix book. Thank you for the feedback we are trying our best. But the clan will get better and better .